From Hayao Miyazaki, one of the most celebrated filmmakers in the history of animated cinema, comes the Oscar(R)-winning triumph (2002, Best Animated Feature Film), filled with astonishing beauty and epic adventure, a dazzling masterpiece for the ages. SPIRITED AWAY is a wondrous fantasy about a young girl, Chihiro, trapped in a strange new world of spirits. When her parents undergo a mysterious transformation, she must call on the courage she never knew she had to free herself and return her family to the outside world. 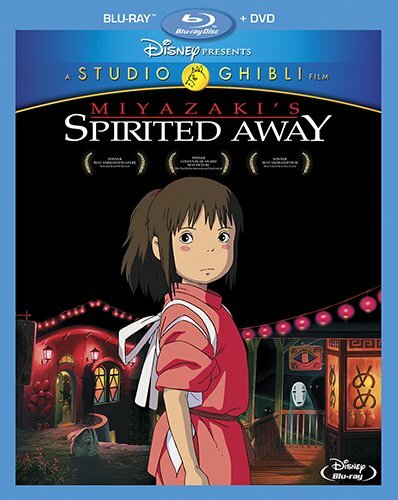 an unforgettable story, brimming with creativity, SPIRITED AWAY will take you on a journey beyond your imagination. It's a fantastic tale the whole family will want to experience over and over again on Disney Blu-ray!